Ok, some good news – just rescued a shoot from this arvo for a friend off a dud Sandisk Extreme 16GB CF card. Initially tried it with “Rescue Pro Deluxe” software that a Sandisk card I bought provided a 12-month license for – wouldn’t even find the card. 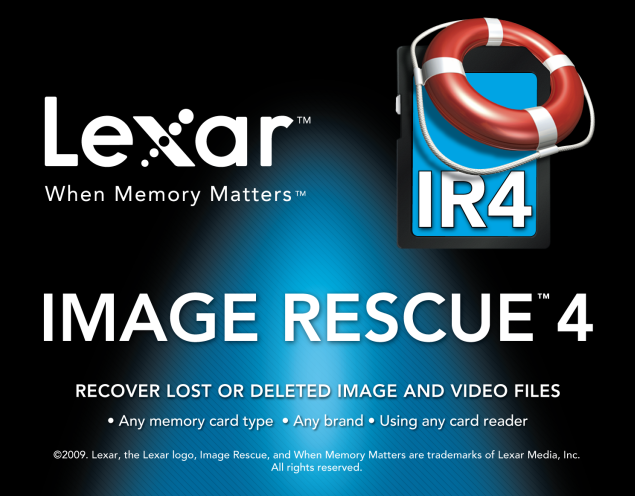 Then I used Lexar Image Rescue 4 software, and it was painless – 400 12MB images of the 1600 it found saved on the card now saved to my HDD (and backed up to an external drive), and will be picked up tomorrow by the photographer. (I got the code from a Lexar card I bought from B&H a while ago). I am mic cullen. I am a student and wannabe academic, mental health dealer-with, long-time journalist (afl.com.au, Ch10, multiple radio stations), photographer, tech-head, failed foodie. All sorts of stuff here.